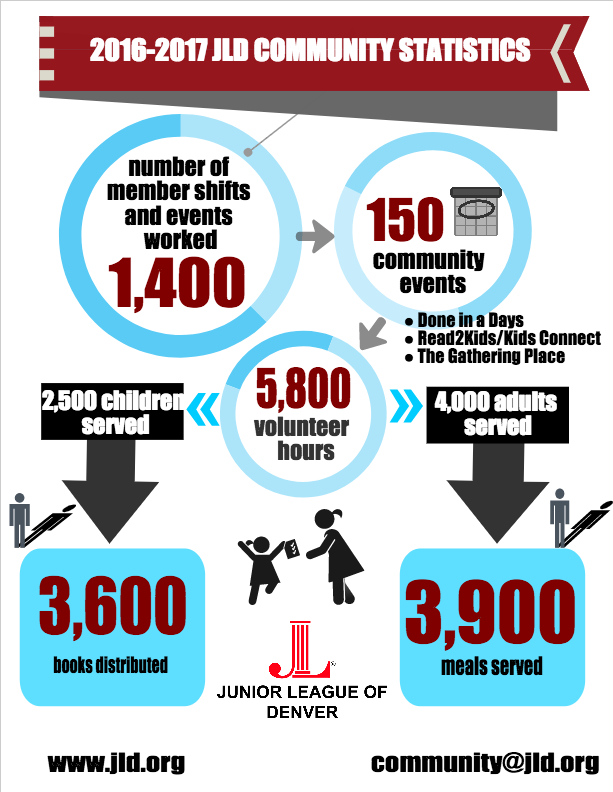 Watch a video about the Junior League of Denver and our community impact! The Junior League of Denver (JLD) is a women’s nonprofit training organization. We are currently working to improve literacy rates and provide access to books, for children through the third grade. The JLD continues to provide a $10,000 sponsorship to One Book 4 Colorado, an effort to get a copy of the same book into the hands of every four-year-old in Colorado in April of each year.